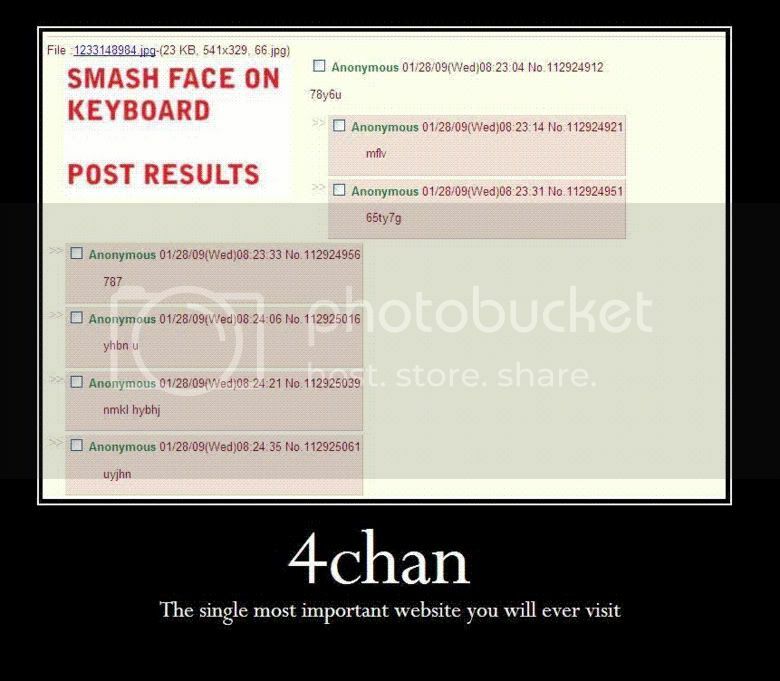 but kid's gotta know 'bout the chans. It's part of the introductory course to the INTERNETZ. In any case what course name would it be. The Nexus of the Internets 1101? solopy567 wrote: I never found out what /b/ was....What is it? Well, it's only true for a certain kind of ignorance, like the one you have now about /b/. Anyway, whatever happened to the GAR-ness discussion here? This is digressing quite a bit. by keeping it a secret, he's gonna get more interested..and teh cat will be out of the bag soon..someway, somewhere, somehow.. He's got an ANTI-WORLD NOBLE PHANTASM!And he's totally insane! Now that's Gar! Agreed. His carelessness makes him more of a laughing-stock than anything else. Truthfully, I think every male character in FSN is GAR (except for the ones who don't really fight like Shinji, Zouken and generic high school student B). Noone can stand before the raw, pure manliness of Berserker. Ok, now I'm dying to know what /b/ is, tell me!!! Kikuchi wrote: Noone can stand before the raw, pure manliness of Berserker. Yeah, /b/erserker got the biggest chest of every character, male or female! Ya gotta give 'im props for that, man! solopy567 wrote: Ok, now I'm dying to know what /b/ is, tell me!!! Unfortunately, Gil could never become Gar. He's way too manly to lower himself to such a low level such as Gar. Uberoy wrote: Unfortunately, Gil could never become Gar. He's way too manly to lower himself to such a low level such as Gar. Hmmm......Now that you mention it, your right! Wait how can there be a level beyond GAR anways? He's got an A+ rank Charisma. That pretty much explains it. of killing off Illya like that in the UBW storyline. Although he did get what was comming to him in that storyline and even worse during the HF storyline. Besides I think his aditude is what plays a factor on why even though he has the high stats and whatnot he can't be considered GAR. I mean Archer himself is GAR since he took a beating but managed to keep going. As for Gil he prefers not to take a beating, because he tends to get wrecked if that happens. I mean he faced off against Shirou and lost when it was UBW vs. GoB. Although Archer had to do the final killing blow to finish things. Also, even in the Fate storyline he was too arogant when he fought against Saber as well. So that maybe why he isn't on the GAR list. Although I think Lancer is more GAR then Gil if you ask me, and tends to rival Archer in that matter, but his outfit tends to play somewhat of a factor there. TL; DR Archer is a KSer. Gil is far too honorable to do that. That's why he's beyond GAR. but his outfit tends to play somewhat of a factor there. I'd say he'd look less gay if his clothes were to be separated into several sections.